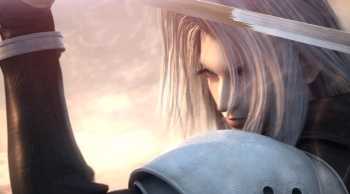 If you've ever secretly wanted a replica of Cloud Strife's Buster Sword or Squall Leonhart's Gunblade, you might be out of luck - Square-Enix has hammered four online retailers of unlicensed Final Fantasy goods with a $600,000 lawsuit. The four retailers - Edgework Imports, Top Swords, Wholesale Gallery and Pacific Solutions Marketing - are hereby prohibited for selling any of their Final Fantasy knockoffs anywhere, whether via third parties like eBay and Amazon, or their own stores. "We regret having sold unauthorized replica merchandise based on the FINAL FANTASY franchise to our customers. We would not have begun importing and selling these swords if we knew that Square Enix would respond so aggressively to stop us. We will never make this mistake again." Yasuhiko Hasegawa, one of the JRPG giant's lawyers, said that the company would aggressively pursue legal action against others "[W]ho seek to sell [our fans] cheap replicas that undermine our efforts to bring only top quality goods and content to our customers." Okay. Y'know what, I get that the company doesn't want people profiting off unlicensed knockoffs, especially of some of the series' iconic weaponry. Certainly, Square-Enix has the right to control its flagship brand, and physical knockoffs are definitely a kind of piracy. But come on, guys. I don't see you selling official Final Fantasy weaponry anywhere. Can you really make the claim that these four companies are selling "cheap replicas" and hampering your efforts to bring "top quality goods" to your fanbase when they're selling items that you don't even offer? Furthermore, how will this affect my ability to purchase a Halo energy sword?